Our Team - San Juan Publishing Group, Inc.
Because our work is primarily done “on the web” and we are able to communicate through advanced telecommunications systems. We serve both domestic and international clients, and because their domains are hosted by us on our own servers, we are able to work together seamlessly from wide-spread locations. Most of us have more than 20 years of experience in our fields and we all have achieved a high level of technical proficiency. Kathryn R. Burke, San Juan Publishing Group, Inc., publisher and principal. Kate has been involved in advertising, marketing, photo journalism, publishing, graphic and web design, for more than 20 years. During her tenure as a high school teacher, and later a professor, she taught art and design in the US and Spain. Kate has also hosted her own radio show, ‘Focus on the Arts,’ promoting the visual and performing arts. She is an artist and a former gallery owner (in California). Post-graduate work in business administration enabled her to establish and maintain successful ventures in California (where she helped start-up companies obtain capital and set up management teams) and in Colorado where she established SJPG. Kate works with multiple clients in the U.S. and internationally, designing, establishing, and maintaining their marketing plans—with special emphasis on internet communications in today’s fast-paced digital world. She has also worked with local schools through a special program to help students with learning disabilities gain knowledge and expertise in graphic and web design. She is the author several books, the most recent The Caregiver’s Journey series. In addition to working with web clients, Kate also teaches technology classes on Social Media Marketing. Kate lives in Montrose, Colorado. Jim Batchelder, owner of Rest Easy Hosting and independent website designer/programmer. Jim has over 20 years of website and email hosting experience and more than 20 years of website design experience with a broad and diverse U.S. and international client base. Jim has been the preferred, and almost exclusive, hosting provider for San Juan Publishing clients for more than 15 years. Through ongoing collaboration, San Juan Publishing and Rest Easy Hosting have created effective, high quality, web-based representations for dozens of clients in a wide range of industries and professions. Jim resides in Maui, Hawaii. Bryce Chismire, a graduate of Santa Fe University of Art & Design, has been working with San Juan Publishing (SJPG) since his sophomore year in high school. Bryce, who is autistic, is extremely creative and proficient in graphic design and website content management. He has worked on many SJPG client projects including book illustrations and is the primary on SJPG content management. Bryce recently won an award from Colorado Independent Publishing Association for book illustrations. Bryce lives in Ridgway, Colorado. Carol McDermott is a freelance writer and poet contributing to many local and regional publications. A retired teacher, Carol continues to teach college classes and tutor and produces works for professional teachers and books for children. Her first poetry book was published in 2015 (by SJPG). During the summer, Carol is Montrose’s ‘Main in Motion’ storyteller. Carol is a long-time editor for San Juan Publications. Carol is the author of Bits and Pieces. She lives in Montrose, Colorado. Carol Bucy, is a writer and editor. She is meticulous in her editing, which is appreciated by both authors and publisher. 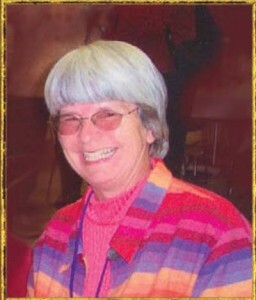 Carol is the author of two books published by SJPG: Family Ties Through Changing Times, and Harmony, Evocative Images. lives in Montrose, Colorado. Read more about Carol here. Jane Schucard, copy editor. Before publishing your work in print or on the web, we always have Jane review it. A former teacher and long-time editor for SJPG, Jane reviews content for grammar, syntax, spelling, punctuation, and general readability. She also reviews website content to ensure it ranks high on the SEO readability scale. Jane will also review for and suggest external (and internal) links to improve your website SEO. Jane lives in Solana Beach, California. Laurie Cassleberry, graphic and book design. Laurie was in-house graphic designer for SJPG before we decided to go with a virtual office. She continues to work with us (and other companies), finalizing graphic design projects for print and eBooks. Laurie’s book and book cover designs have won numerous awards. Laurie resides in Durango, Colorado.